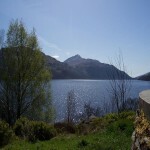 The Trossachs National Park was the first of two national parks established by the Scottish Parliament in 2002. The park is the fourth largest park in Britain and consists of many mountains and lochs perfect for walking, admiring the beautiful landscapes, and wildlife. It most notable natural feature is Loch Lomond which is the largest inland stretch of water in Great Britain by surface area. 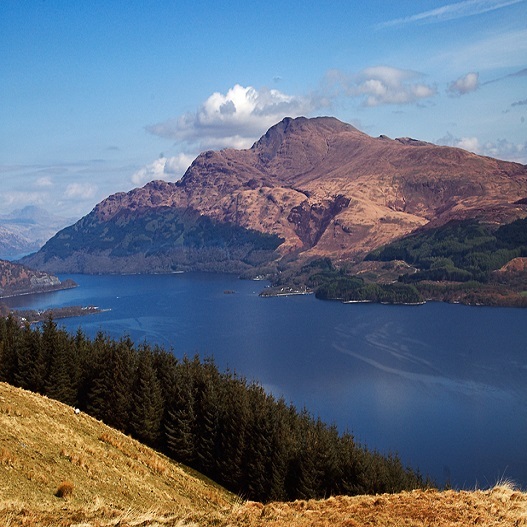 Ben Lomond also can be found in the park and reaches 974 metres above sea level. 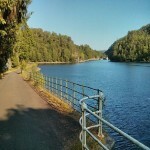 Besides these two natural features, groups can also see wonderful waterfalls at the Falls of Dochart or take a cruise on a steamship on Loch Katrine. Morning: Arrival outside of Glasgow for breakfast stop and chance to freshen up before travelling into Glasgow. Start of walking tour and see Glasgow Cathedral, Glasgow Town Hall, Glasgow Univeristy, Glasgow Square, Kibble Palace and more. Afternoon: Spend time with your school group visiting Glasgow’s places of interest before meeting with coach for transport to accommodation. Morning: After breakfast, travel to the Trossachs National Park to see Scotland’s outstanding natural beauty including Loch Lomond, Ben Lomond, Loch Katrine, and the charming village of Luss. Afternoon: Lunch stop in charming Scottish village of Luss to try traditional Scottish meals. 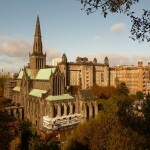 Also called the High Kirk of Glasgow, today is part of the Church of Scotland since the Scottish Reformation. The name cathedral is still used however dispite not having been a seat of a bishop since 1690. 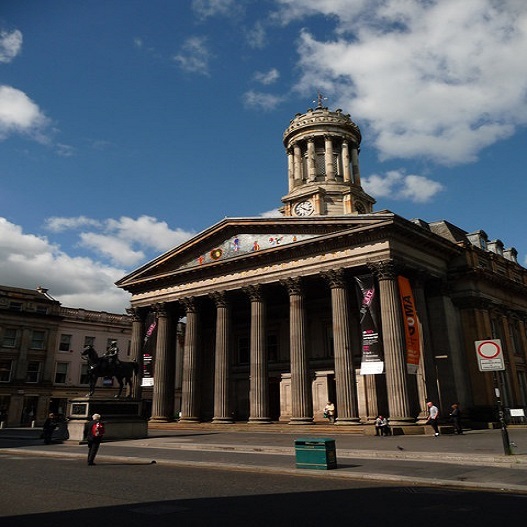 Located next to the Glasgow Royal Infirmary north on High Street and east of Cathedral Street, it is within proximity of other Glasgow attractions. 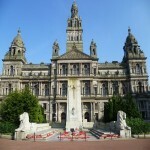 The headquarters of Glasgow City Council since 1996 and located on the eastern side of George Square. Designed in Victorian civic architecture between 1882 and 1888, this building was officially opened by Queen Victoria. This science centre is located on the south bank of the River Clyde and was opened by Queen Elizabeth II in 2001. It has consistently ranked as on of Europe’s Best Science Centres. 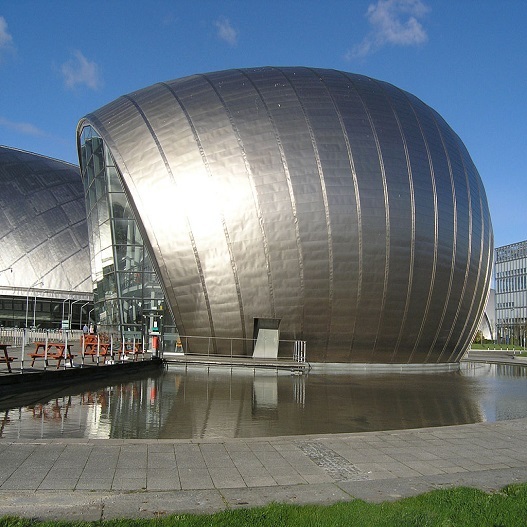 Inside groups can find a Science Mall, and Imax Cinema, as well as the Glasgow Tower. This museum is the main gallery of contemporary art in Glasgow. It offers temporary exhibitions by local and international artists. Officially opened in 1996 in the heart of Glasgow city centre, it previously was a townhouse of William Cunninghame, a wealthy tobacco lord. This university was established in 1451 and is the fourth-oldest university in the English speaking world and one of Scotland’s ancient universities. Consistently ranked in the world’s top 100 universities compiled by different bodies, it is popular for British students as well as international students. 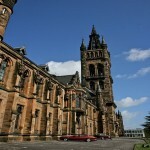 It was at the forefront of the Scottish Enlightenment and is at the forefront of British higher education. 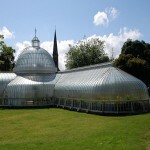 Located in the Glasgow Botanic Gardens, this wrought iron framed glasshouse is popular with people visiting Glasgow. Spanning over 2137 square meters and named after John Kibble who wanted to use the structure at his home located further up river. Inside groups can find a large variety of flora from all parts of the world and wonderful sculptures. 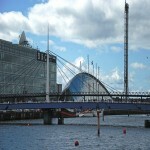 The headquarters for the BBC in Scotland is located on the banks of the River Clyde and was opened in 2007. Inside there are three television studios and five radio studios and well as the first HD newsroom used by the BBC. Groups can go on studio tours to see how the news and other shows are created and broadcast. 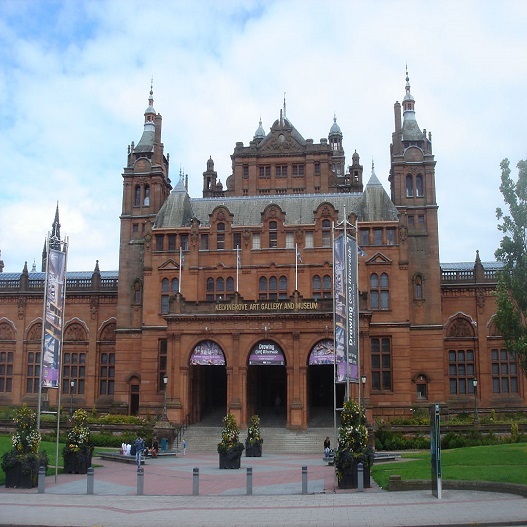 This museum in Glasgow houses one of Europe’s great civic art collections and is the most popular free-to-enter museums in all of Scotland and the most visited museum in the United Kingdom outside of London. The art collection within includes many outstanding European artworks including works by old masters, French Impressionists, Dutch Renaissance and many more. This freshwater loch is located in the Trossachs National Park and is the largest inland stretch of water in Great Britain by surface area. On the loch there are many islands including Inchmurrin, which happens to be the largest fresh-water island in the British Isles. There are many activities available for groups at sites located all around the loch including kayaking, canoeing, travelling on a steam cruiser and much more. This loch located in the Trossachs National Park is a fresh-water loch and is roughly 8 miles long and 2/3 mile wide. 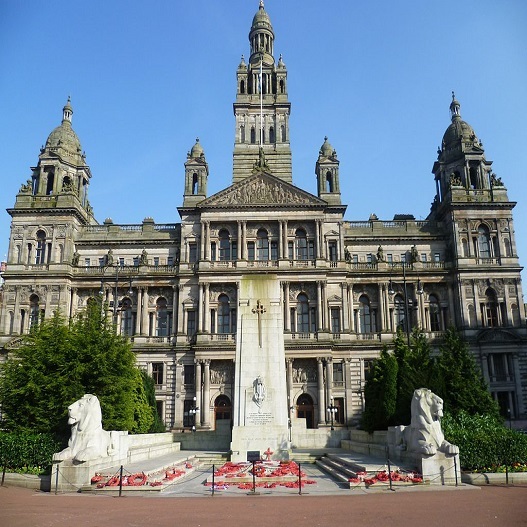 It is a very popular destination for tourists and day visitors from Glasgow. This mountain is a very distinctive mountain in the Scottish Highlands and on the eastern shore of Loch Lomond in the Trossach National Park. It rises 974 meters above sea level and its name has been used in Scottish folk songs and has several namesakes in former British colonies such as New Zealand, Trinidad. Celtic Connections- This festival lasts three weeks and celebrates Celtic folk and world music. Now, in its 21 year, it has become one of the world’s folk music festivals. 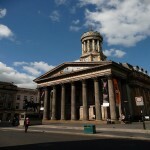 Glasgow Film Festival- This film festival first started in 2005 and has steadily grown each year. There are over 50 UK film premieres during the festival. 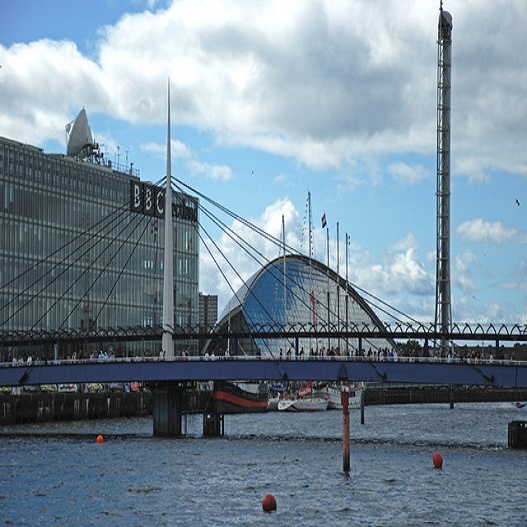 Glasgow International Comedy Festival- This festival first started in 2002 and takes place annually in March. Many up-and-coming comedians use this festival as a starting point. Glasgow International Festival of Contemporary Visual Arts or GI- This festival takes place every 2 years and offers artists a platform to showcase their art. Not only do local Scots take part but it also attracts a huge international group as well. Glasgow Art Fair- This fair has become Scotland’s main art fair. Visitors can expect to see local artists selling their works as well as stalls with art products. Maydaze- This festival of music and family entertainment takes place during the first weekend of May and includes a parade and street parties. Southside Festival- The festival celebrates the southern part of Glasgow and its music, art, and much more. The location of the festival may change from year to year. West End Festival- This is Glasgow’s biggest event attracting over 150,000 people at 500 different events at almost 80 venues. It first started in 1996 on Byres Road and today only the Notting Hill carnival in London is larger. Called “Scotland’s Mardi Gras” it is full of activities, shopping stalls, dance, and family fun. Glasgow Science Festival- This festival has been held in Glasgow every June since 2007 and is full of fun events and activities for children, schools and adults. There are Science Comedy Events, art workshops and family activities. 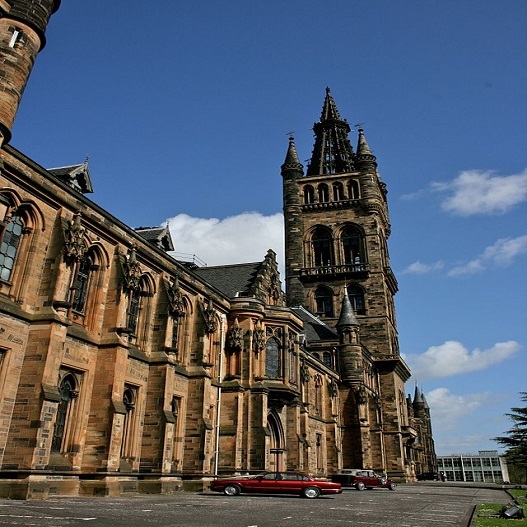 The festival is mainly sponsored by the University of Glasgow and University of Strahclyde. Merchant City Festival- This event celebrates Glasgow’s Merchant City area over four days of festivities showcasing the best Scottish talent in theatre, music, comedy, film, fashion, and food. Each year, over 50,000 people come to this festival. Pride Glasgow- Scotland’s largest Pride festival first started in 2008 and has become the leading pride event in the North of the UK. Piping Live! Festival – The annual meeting of bagpipers occurs in Glasgow every August and hosts the World Pipe Band Championships. It is a hugely popular event which attracts huge crowds and is the largest bagpipe festival in the world. Doors Open Days- On one weekend in September, Glasgow’s most interesting buildings become open to the general public for an inside look of Scottish design and architecture. Over 900 buildings are open so there is much to see over a course of the weekend. Inspiration- This festival held in October is Glasgow’s child-orientated festival with lots of games, rides, and treats for children young and old. The Scottish Mental Health Arts and Films Festival First –half Oct.- This is Scotland’s most diverse cultural event covering international music, film, visual art, dance theatre, and literature. It last over two weeks and is supported by the Mental Health Foundation. Africa in Motion-Late Oct- Early Nov.- This event focuses on the past, present and future of Africa through short films, documentaries and interesting talks. Glasgow’s Hogmanay- Scotland’s biggest city celebrates the coming of the New Year with celebrations and parties throughout the day. There is traditional Scottish entertainment and activities planned on George Square and of course a brilliant fireworks presentation as well.